On Monday May 12th in a room packed with bus riders, the Transit Task Force voted 5-2 to recommend to the Mayor and Council that there be no service cuts to Sun-Tran at this time. Councilwoman Uhlich had suggested to the Bus Riders Union that this was the preferred mode of informing the City Manager and the City Council to not balance their budget on the backs of bus riders, in this, the eight poorest city in the U.S. The bus riders echoed the theme of Councilman Cunningham “Now is not the Time” for major changes to our award winning bus system. First we need to see how the streetcar shakes out, iron out problems with the Sun-Go card and see what happens with the Ronstadt Transit Center and the Downtown Links Project. So the stage is set for next Tuesday, May 20th, when the Council will finally decide on their budget for next year. 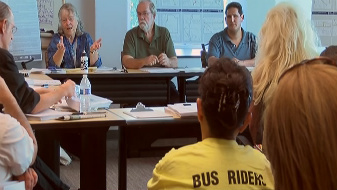 *Our hats are off to the citizen members of the Transit Task Force for standing for bus riders against the culture of the City of Tucson, which is famous for farming out important decisions to committees they seldom listen to. For more info on how the City runs roughshod over transparency and democracy, we suggest reading a May 10th communiqué from the Downtown Neighborhood and Residents Council (DNARC), prepared by Liz Burden and Laura Tabili. May 2014 The Downtown Neighborhoods and Residents Council of the Downtown Partnership wish to draw your attention to a systemic pattern common to several Citizens Task Forces (CTFs) and other citizens’ commissions the City of Tucson has established to oversee public road projects and other matters. These include the Downtown Links CAC, the Broadway CTF, the Transit Task Force, the 22nd Street CTF, and, most recently, the COT response to public input on development of the Ronstadt Transit Center. We understand that CTFs and other COT appointed Citizen commissions are charged by Mayor & Council with conceiving project designs and that they are intended to be supported by City and project staff who provide expertise, data, and other materials to educate and inform Citizen members and their discussions. Citizens are meant to chair the committees and determine their agendas, as reflected in the ordinances whereby these committees were established. In gruelling nighttime meetings that often span the dinner hour, staff and consultants often present citizen volunteers with constrained options, pressuring them into working within them. Agendas can feel predetermined to Task Force members and appear blatantly so to observers. Commission members experience unacceptable delays in receiving information they have requested, yet are rushed through decisions without that information–hardly enabling them to make informed choices. 1. –Consistent with the apparent intent of the ordinances establishing citizens’ commissions, Mayor & Council must explicitly direct staff to take direction from citizens and stakeholders, rather than attempt to drive processes in preconceived directions. The goal should be to make staff “servant leaders” not “leaders” Their role is to train, support, and consult these commissions, not to influence process or outcomes. 2. Citizen input from appointed Committee members and duly constituted stakeholder groups rather than staff or consultants’ agendas must drive agendas and outcomes. 3. Although consensus decision-making is the stated goal of task forces, facilitation in many instances appears to be lacking in achieving this goal. The COT needs to: (1) train staff on effective facilitation skills and (2) use competent facilitators skilled in participatory process and in achieving consensus. 4. Each meeting must allow ample time for meaningful discussion among Task Force members and not be dominated by Powerpoint-wielding consultants. 5. The agenda for each meeting must be developed in discussion among Task Force members and not be presented pre-cooked by staff and consultants. Citizen members must never be told there is “insufficient time” to schedule their desired agenda items. 6. An excessively narrow interpretation of the Open Meeting Law curtails rather than encourages conversation, inhibiting consensus and coalition building. Citizens are told they may not converse with even one fellow member outside of agendized meetings, on pain of removal from the committee and a $500 fine. This has a chilling effect on dialogue. 7. Staff and consultants must produce information requested by Citizen members at the next scheduled meeting, or, at worst, furnish in that meeting an explanation for why it has not been produced and a deadline for its production. 9. Currently, public documents are only available for two years, yet some projects such as Downtown Links are over a decade old. As such, there is no historical memory outside that of citizen members and stakeholders. Recordkeeping must be improved, and relevant documents posted accessibly on the COT website. 10. There appears no accountability or oversight of poorly performing staff or consultants. City Manager is responsible for citizens commissions and needs to have an observer in each meeting. A mechanism for removing underperforming staff and consultants needs to be developed. 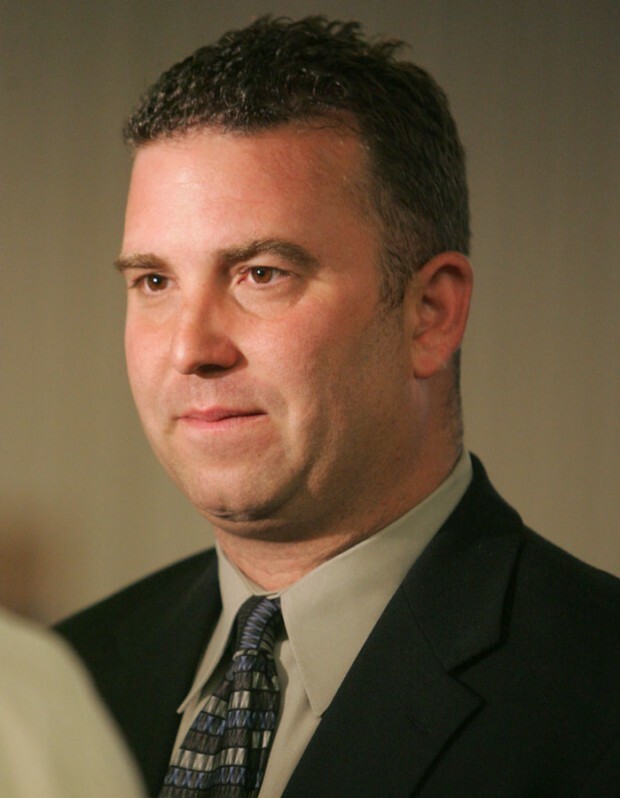 Other cities have an ombudsman who fact-checks complaints, reports to the city manager and responds to the complainant. “Greater Neighborhoods Council” of Edmonton, Alberta, Canada is one model. 11. Meetings must end at posted times: major decisions must never be made after a meeting is supposed to be over. 12. Staff must acknowledge public input and offer some explanation if it is not being incorporated. Commissions that work well include some with the Parks and Recreation Departments. Those with a deeper history and continuity seem to work better than some of the newer ones that relate to development, redevelopment, and money. Those with higher stakes seem to ignore citizen input more often. Stakeholders perceive that unknown parties seem to be influencing staff and consultants. As citizens, taxpayers and stakeholders in a better central Tucson, we demand fair and accountable design processes for these expensive and impactful projects. Thank you for your time and kind attention to this matter. ← The Holy Father on Trickle-Down Economics!